This recipe is for onion rings. 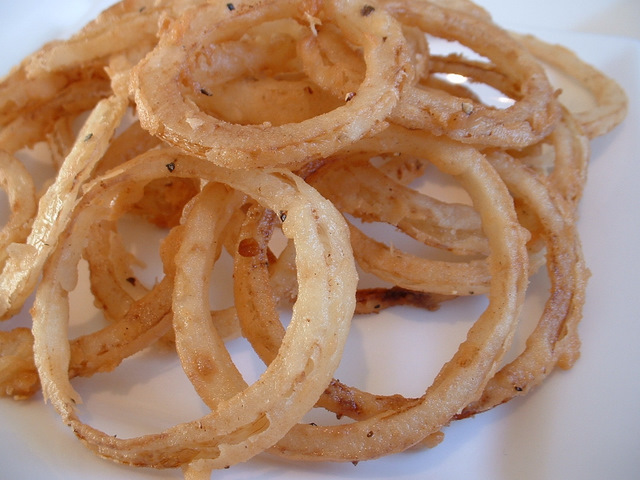 This onion ring recipe makes onion rings that make a great garnish for steaks and beefburgers. 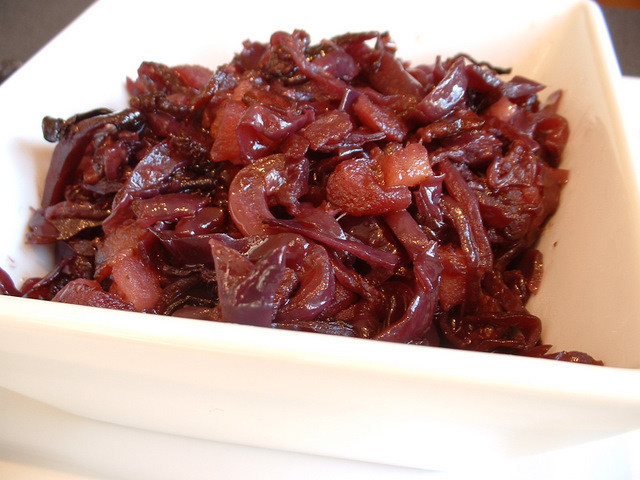 This cabbage recipe is for braised red cabbage. This recipe with red cabbage is served with apple, bacon, red wine and red wine vinegar. This tomato recipe is for baked stuffed tomatoes. 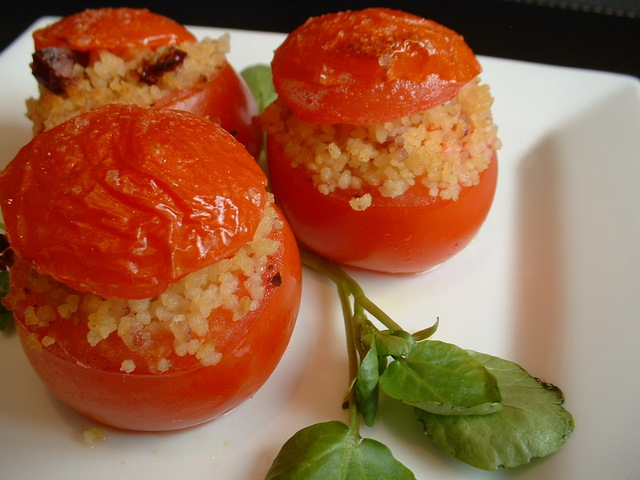 This stuffed tomato recipe uses cous cous to make great tasting tomato dish. 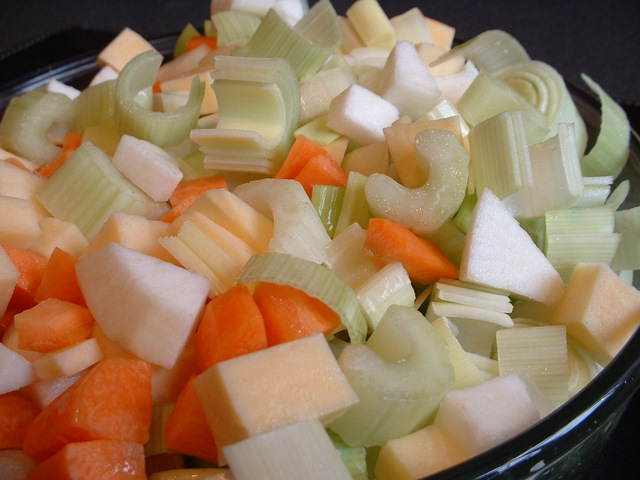 This vegetable recipe is for baby corn. 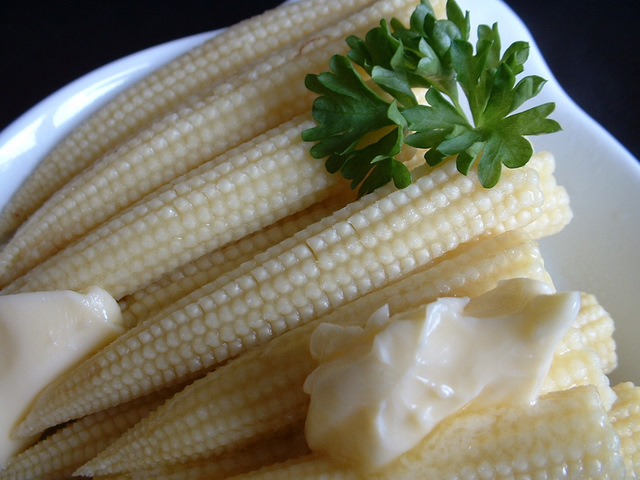 Often referred to as baby sweet corn or baby sweetcorn, this is great served with stir fry dishes. Here are some great tips for cooking vegetables including use of farmers markets and homegrown produce. This shows how to dice a carrot. 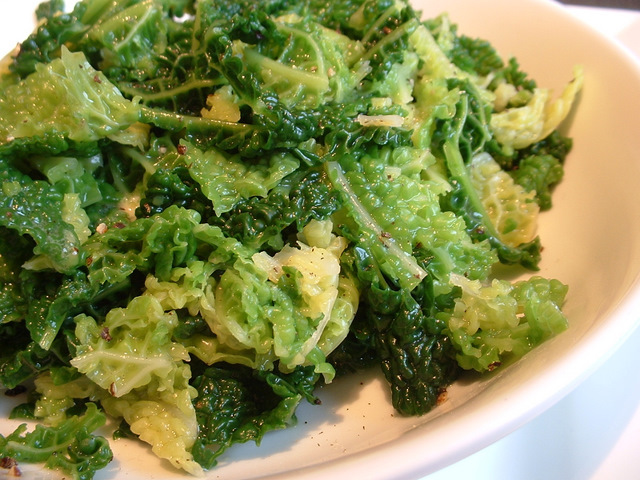 This recipe shows how to cook savoy cabbage. Here, a buttered savoy cabbage is cooked, which makes a colourful vegetable for any dinner plate. 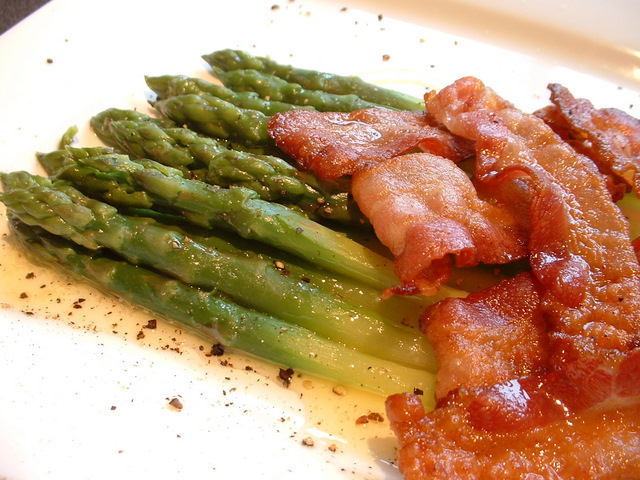 This asparagus recipe is for buttered asparagus spears with pancetta. This vegetable recipe shows how to cook asparagus spears, which can make a nice simple starter as well as a side dish. 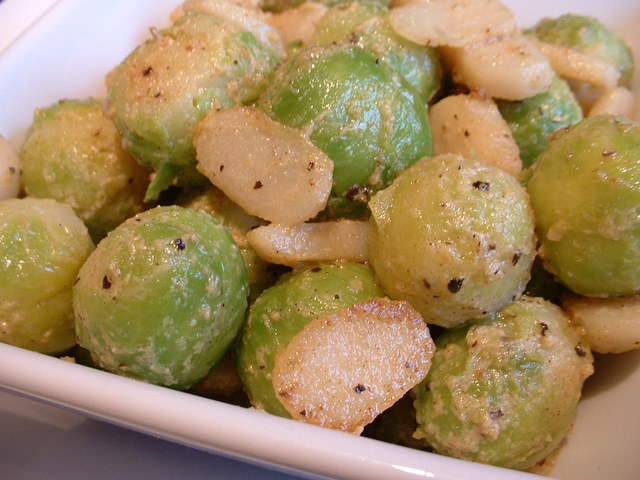 This recipe for brussel sprouts is served with water chestnuts and a touch of mustard. Brussel sprouts are a vegetable that you either love or hate! 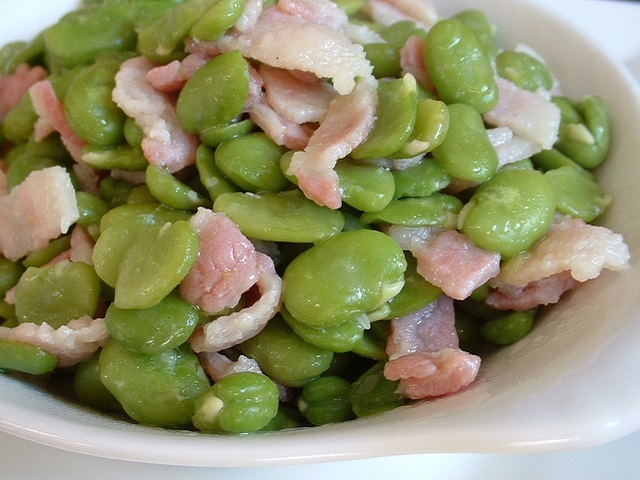 This broad beans recipe is served with smoked bacon. This broad bean recipe is quick to cook and looks and tastes great.